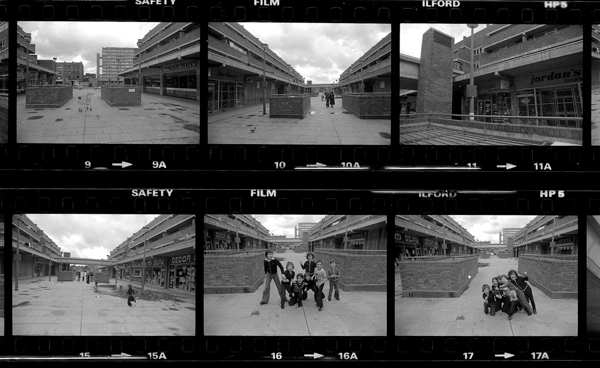 Tony Bock took these pictures of Watney Market – published here for the first time today – while working as a photographer on the East London Advertiser between 1973 and 1978. 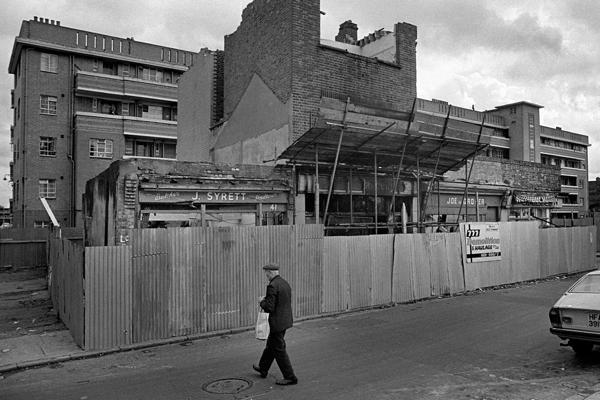 Within living memory, there had been a thriving street market in Watney St, yet by the late seventies it was blighted by redevelopment and Tony recorded the last stalwarts trading amidst the ruins. In the nineteenth century, Watney Market had been one of London’s largest markets, rivalling Petticoat Lane. By the turn of the century, there were two hundred stalls and one hundred shops, including an early branch of J.Sainsbury. 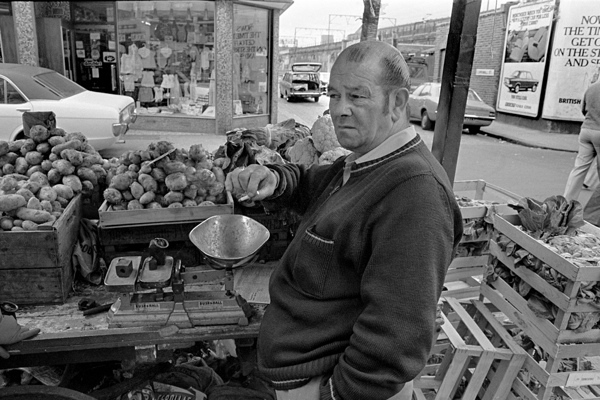 As a new initiative to revive Watney Market is launched this spring, Tony’s poignant photographs offer a timely reminder of the life of the market before the concrete precinct. 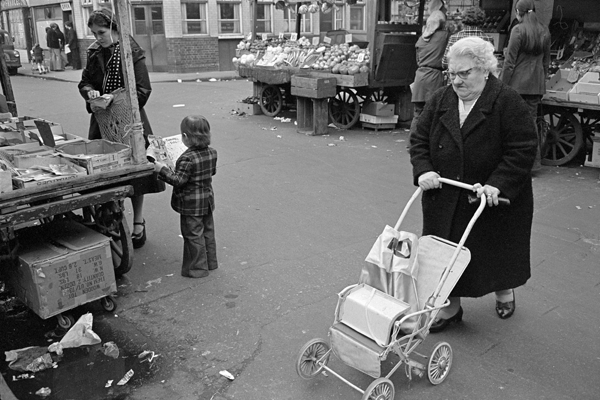 So lovely to see the elderly ladies with their pushchairs, which must have been the inspiration for the shopping trollies. 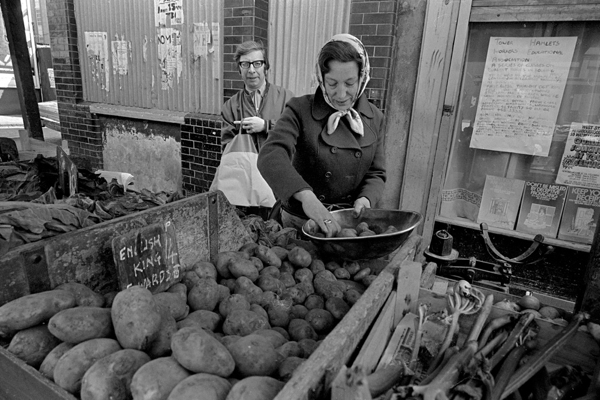 Good to see Eileen Armstrong selling spuds while beautifully turned out in tailored coat and head scarf in the fourth photo. I was at school with her daughter and remember her always looking like this. The thing I most associate with the old Watney Market is cheese being cut with a cheese string! I like these. Tony really captured the essence of the East End. The one thing which really dates the pictures for me – beyond the fashions – is the way fags were an appendage to many peoples’ hands. Two pictures especially just stood out – perhaps because I never did smoke. Wonderful Photographs! 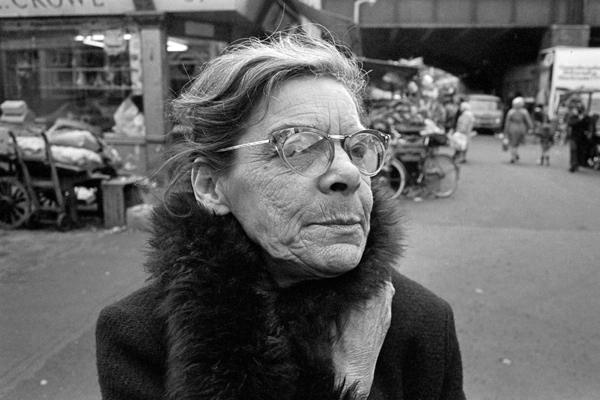 I also photographed Gladys McGee a few years after Tony. He’s really captured the essence of an era. When you see photos like this you realise how much community has been lost over the years, all over the UK. When i was a child in the 60s, the main street in my little Scottish backwater was bustling with old ladies just like these. Everyone went to the grocer, the butcher and the fishmonger; the Co-op for things like shoes and drapery items. Sadly these traders are no more, we have the sterile environment of an ASDA in their place. 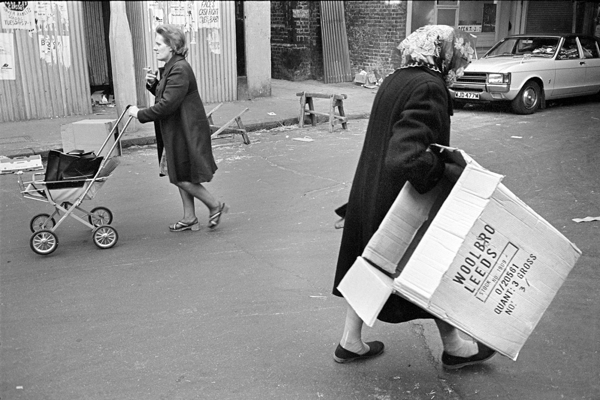 I donnot know why these black and white photographs make me sad.A time passed people capture living their lives.Welcome now to prepacked sterile supermarkets, with their tasteless food.We should all find and support our local markets and small independent shops. 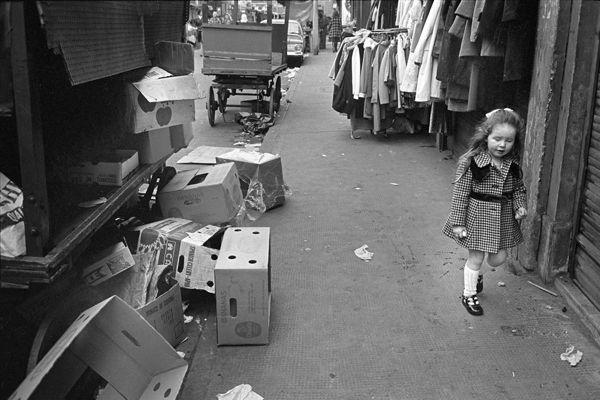 seeing those photoes almost made me cry, i grew up in the 60s in shadwell gdns and remember going up watney to get shopping for my mum before going to school and remember the old shops it was good to see them again and remember, thanks very much.. 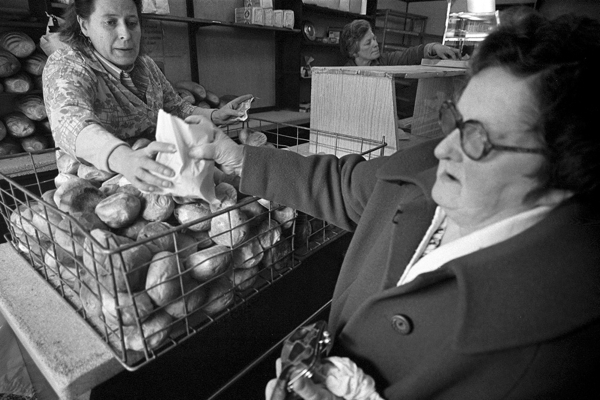 The Lady in the Bakers serving, is my Mum Pat Crosher. Mum has sadly passed away, but I remember her working in the shop. I love the comments section on this article. I’m trying to find out when the ethnic make-up of the streeters and shoppers changed. Can anyone clue me in? Keep up the good work. Fantastic memories!!! Great pictures. I was born in 1970, so I only remember the new precinct as a little girl. Lovely to see what it was like before I remember it. 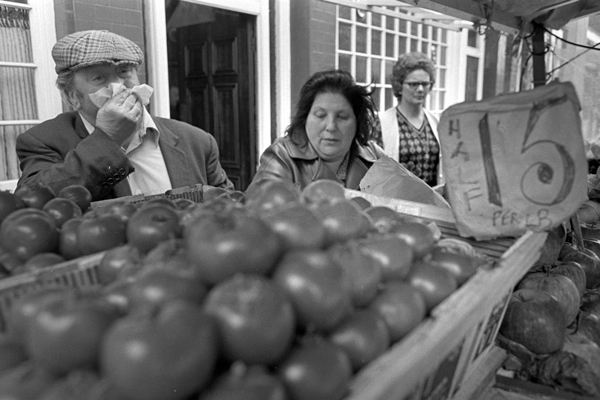 Eileen Armstrong was a trader in fruit and vegetables for many years once the new market was set up and I had my first job in the Sainsbury’s supermarket in 1986. It was a really good market for many years. I grew up in Watney street from birth in 1945 until 1966 when I married. We lived over the Mason’s Arms pub in Masons flats. The windows over looked the market and the entrance was in Blakesley st. opposite a men’s urinal that stood in the centre of Blakesley street. On the opposite corner was Miss Sharod the Newsagent. We were surrounded by bomb sites, to the side the bomb site of Blakesley st. school, to the back the bomb site of Christ church and opposite across Watney street was the bomb site which had been shops and flats. Lovely to see all these old photos. in The Lord Nelson or The Old House at Home. the first picture was my dad’s shop. I used to work with him at the weekends. originally my granddads (Alf) aka Dutchie. It became so run down that even the burglars didn’t bother robbing it. After demolition we moved to a bomb site near the new market. Thanks for the memories. Many memories here. 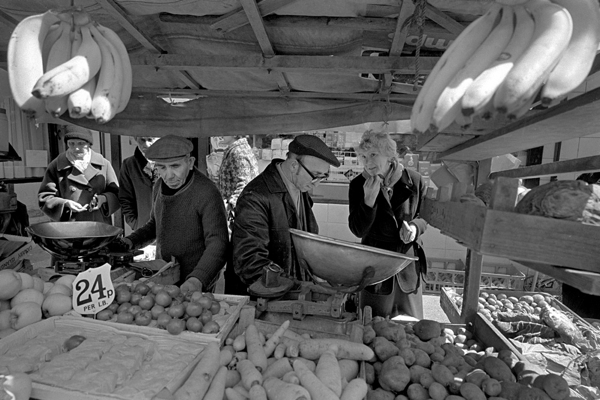 My uncle, Sammy, sold tomatoes off a stall on Saturdays through the fifties and early sixties. Before and after the war my grandfather had a fruit stall in the same pitch. I moved out of Wapping Riverside Mansion in 1953 aged eight.my dad was a docker.I remember looking out of my bedroom window at all the ships going past. .And especially president Tito sticks in my mind.I lived at 32 my cousin at no 1.My aunt had a cafe that used to serve all the dockers.We all had such wonderful friends & neighbours.Now I live in Hornchurch only have work colleagues.& family neighbours are just there we don’t really socialise. I loved looking at these photos,of the old market I grew up their and worked in the market as a young girl,jacks shop was under the railway arch, in one of the photos I can see a small glimpse of it , he sold everything from children’s socks to curtains by the yard, he had a daughter Brenda who I worked with she was nice, we got on well I remember the winters were bitter standing out Side on the stall on Saturday legs turning blue with the cold, when the opportunity came to work in the chemist at the end of the market I went for the interview and got the job it was great,the atmosphere of market life was happy. Well what great memories of Watney Street. 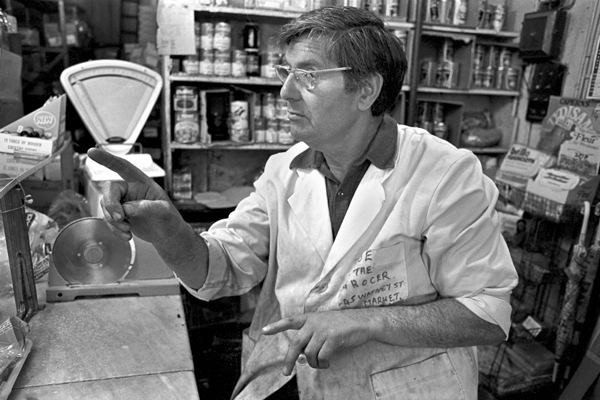 I’m the son of ‘Joe the Grocer’ and spent many Saturdays helping in the shop and market stall outside. My mother Norma, Joes wife has celebrated her 93rd birthday this year and we often still spend time reminiscing. I remember Syrett and Press the butchers who had shops either side. Also Andersons the bakers, Caters and Sainsbury’s counter stores. There was also a stall holder that only sold tomatoes. When it came to ‘Hopping Time’ customers would stock up with groceries for their holidays. I do remember that the film To Sir with Love was filmed in the market and one of the episodes of the BBC programme ‘Man Alive’ featured it. Thinking of going back to see what it looks like now. Further to my earlier posting I’ve since found the BBC ‘Man Alive’ programme that had been uploaded to you tube entitled ‘Alright, we’ll do it ourselves’ from October 1972. 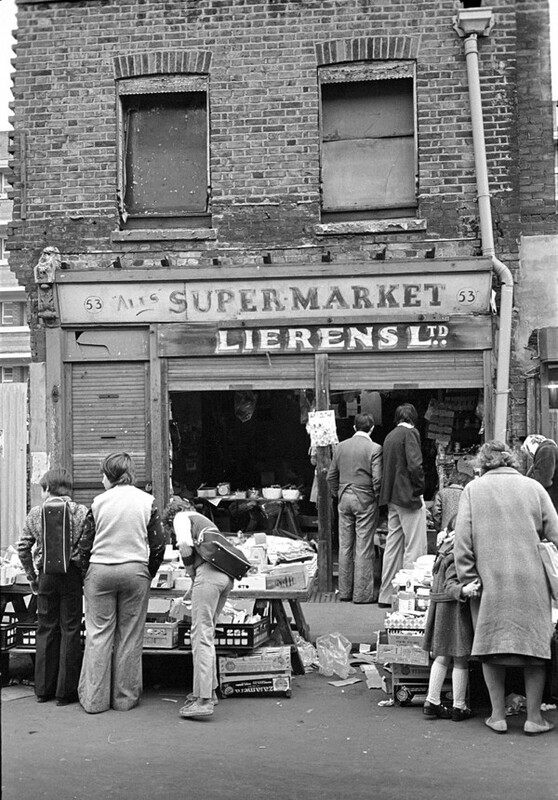 It’s about a Stepney Festival and the organisers go down Watney Street asking for donations and includes my father ‘Joe the Grocer’ and Minnie Payne who had the fishmongers stall infront of our shop. My dad’s family had the fishmongers shop in Watney Street, Tobias & Sons. My grandfather opened it, but as a kid in the 60′s and 70′s when we used to visit from Brighton, I always remember my Uncles Mickey and Georgie running it…..On the Man Alive video posted above my Uncle Georgie is seen after the Live Eels shot. 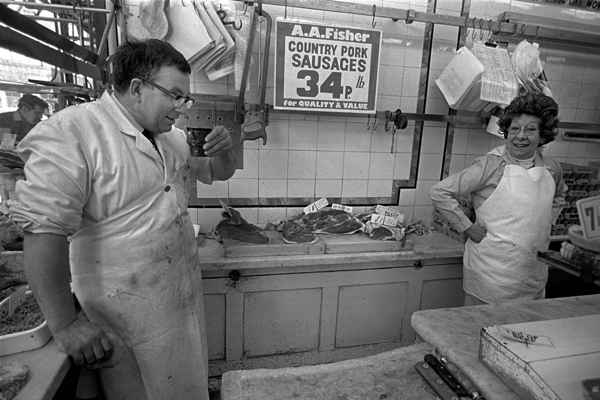 My Grandparents ran a Butchers (L Bridger) at 60 Watney Street, I’m just starting to dig into the family history so wondered if anyone had any memories?? I used to live in Zion House in the Sidney Street Estate and used to visit Watney Street Market with my grandmother [Dora Fedman]. I knew Doodie Dix and his wife Cissy [included in the pictures...the one with tomatoes at 15p a lb] and of course Minnie Payne the fishmonger who was always glamorous. My mates and I would pass through the market on our way to Shadwell Park. However my east end has long gone….my synagogue is closed and is now flats…good memories but the east end is a living place and the past is just that a lovely memory….history!